For over 35 years, our Bulk Bags have been carefully designed and manufactured in the US with the highest quality materials. Our standard lead time is 2 weeks on many bulk bag styles. We offer a 1 week rush option, as needed. Our domestic cut-and-sew manufacturing plant offers U-Panel, 4-Panel and Baffle bag styles, and types A, B, C and D fabric. Our Malvern, Arkansas manufacturing location provides a convenient centralized location to service the needs of our US customers. Custom and complex bulk bag designs are our specialty and we also offer UN Certified, lined bags as well as special fabrics. 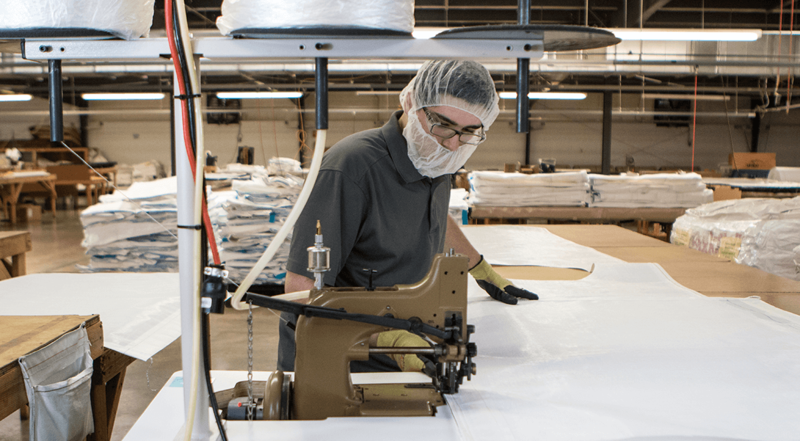 *Custom and UN certified bulk bags, liners and fabric may require longer than a 2 week lead time. Working with our domestic team is convenient and efficient, especially for complex design requirements where the technical details could get lost in translation. We have our own in-house material science engineering staff as well as production-level quality inspectors who check each bag that comes off the line. Our technical sales staff have years of experience guiding the process from spec to delivery and they ensure our delivered bulk bags provide the highest quality performance for your unique application. With over 35 years of experience manufacturing bulk bags for industries such as Chemical, Pharmaceutical, Resin, and other industries who require the transport of dangerous goods and hazardous materials, we are experts in the field of FIBC design and labeling requirements necessary for UN Certification and testing. We can design and manufacture your UN bag domestically and we use a domestic third-party testing partner to validate and certify our UN bags. Learn more about our UN Bulk Bags. Likewise, we can design your UN bulk bag domestically and work with one of our trusted overseas bulk bag manufacturing partners for the manufacture and testing of your FIBC. 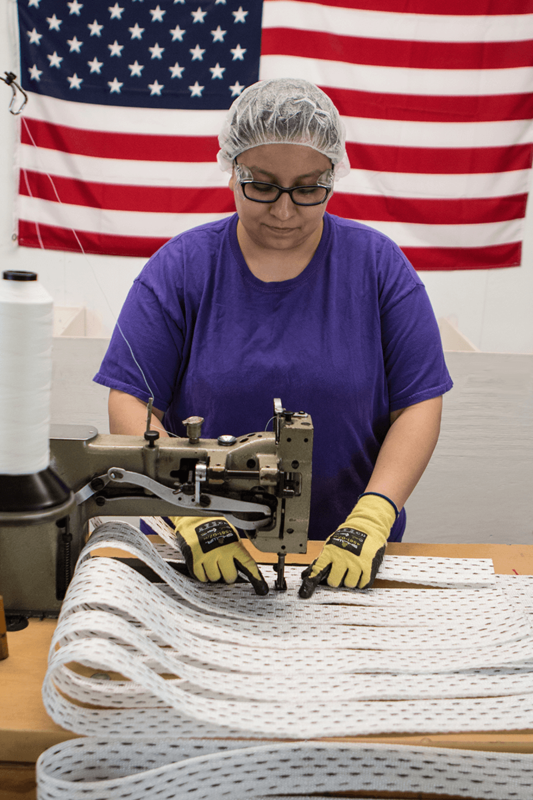 Our US-based Flexible Products Division ensures the quality of our overseas supply by personally visiting our suppliers’ manufacturing locations to vet new suppliers as well as perform in-person audits of existing suppliers. In addition, we employ our own staff members, regionally, to liaise with our supply base and to ensure that we have a localized representative advocating for the highest quality, shortest possible lead times and best negotiated price for our customers’ FIBC and flexible packaging supply needs. With regional sales staff throughout the USA, our domestic team regularly visits customers to ensure that our bulk bags are performing at the highest level of efficiency for your application-specific need. Site audits are the ideal way to begin a new bulk bag design in order to factor in your unique production environment and handling methods. Learn more about The Importance of Site Visits to Bulk Bag Design. Learn more about domestic maunfacturing of FIBC Bulk Bags. Download your free ebook to learn more about FIBC bulk bag testing.